The Saskatchewan Party is now in favour of abolishing the Senate. This morning the Saskatchewan Party announced the results of the party referendum on the Senate, 86% of the governing party's members having voted to change the party's position on the Senate from reform to abolition. The Saskatchewan Party is now in favour of abolishing the Senate. This morning the Saskatchewan Party announced the results of the party referendum on the Senate, 86% of the governing party's members having voted to change the party's position on the Senate from reform to abolition. The party membership had previously defeated a resolution to abolish the Senate at the party's last convention in November, but the subsequent referendum yielded only 16 per cent of the vote, losing with 522 to 3205 votes. The party's change of heart comes after a litany of scandals plaguing the Red Chamber. The Senate expense scandal originated with the revelation that Senator Mike Duffy improperly claimed $90,000 in living expenses and that the Prime Minister's then Chief of Staff Nigel Wright cut Duffy a personal cheque for $90,000 in order to repay taxpayers the inappropriately claimed expenses. 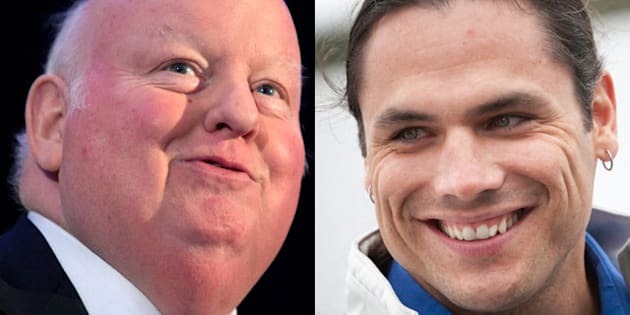 The expense scandal then snowballed, engulfing Duffy as well as Senators Patrick Brazeau and Mac Harb in an official RCMP investigation on the way down. Multiple resignations abound, the Senate scandal continues, the most recent development being legal documents showing Wright told four people he would personally pay Duffy, contradicting the government line that Wright acted alone in paying Senator Duffy. With looped video of Duffy walking to his vehicle on Parliament Hill beaming into Saskatchewanians' living rooms every night, Saskatchewan Party constituency associations took to their Premier, stating that they wanted to revisit the party's policy on the Senate. Now that Premier Brad Wall has the backing of his party on his long-held abolitionist stance an interesting dynamic will present itself in Saskatchewan politics. In 2009 the governing Saskatchewan Party passed the Senate Nominee Election Act, a bill that would allow for Senate nominee elections similar to those held in Alberta. Senate nominee elections will not take place in Saskatchewan, and not just because the province would prefer the feds pay for them. Saskatchewan NDP policy calls for abolishing the Senate and Cam Broten, the newly minted leader of the Saskatchewan NDP, plans to introduce a private member's bill in the fall sitting of the legislature that would repeal the act, rendering Senate nominee elections impossible. Broten argues that repealing the Act and taking legal reference to the Senate off the province's books would clear the way for the Senate to be abolished. It is difficult to imagine Saskatchewan Party MLAs, whose constituents just voted largely in favour of adopting Senate abolition as official party policy, voting against Broten's private member's bill. But regardless of whether or not Broten's private member's bill passes, Saskatchewan Party and Saskatchewan NDP MLAs are now united in calling for the federal government to abolish Canada's Senate. In legislative union the refrain from Saskatchewan sings for Senate abolition. The tune is sweet to both Broten and Wall, displaying their willingness to work on a bipartsan level for the common interest of Saskatchewanians and attempt to save Canadian taxpayers $100 million per year.